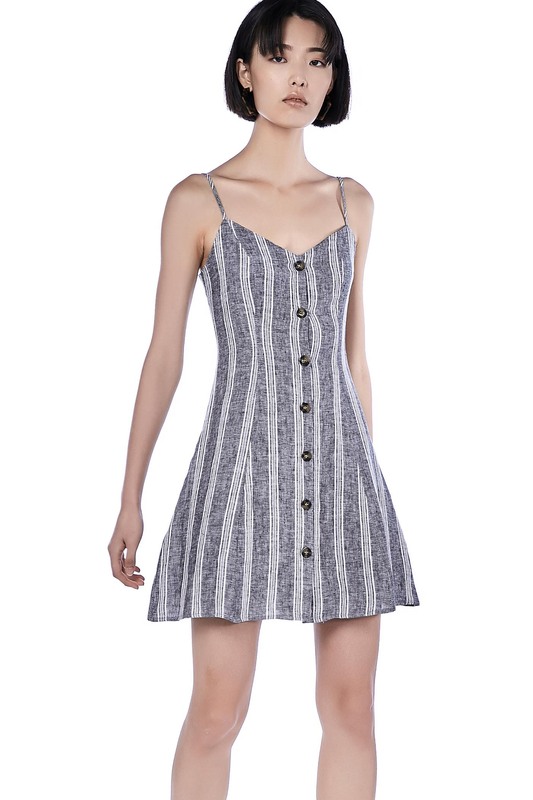 This sleeveless dress is made from cotton. It has a v-neckline featuring a cross-back detail and button-through detail on the front, made in a slim fit. HIPS 31" 33" 35" 38"